The industry-leading Spectracom products you depend on are now brought to you by Orolia, Spectracom’s parent company. Orolia is the world leader in resilient positioning, navigation and timing (PNT) solutions that improve the reliability, performance and safety of critical, remote or high-risk operations. With locations in more than 100 countries, Orolia provides virtually failsafe GPS/GNSS and PNT solutions to support government and commercial applications worldwide. Assured positioning, navigation and timing (PNT) is mandatory for the reliability, performance and safety of mission-critical applications in the air, on land and in the sea. Next-generation resilient position, navigation, and timing in a small, rugged package. GNSS performance is augmented with advanced alternative PNT technologies to ensure your system is always ready to perform accurately and reliably. VersaPNT is the first all-in-one, always-accurate positioning, navigation and timing solution that delivers accurate, software-configurable position, navigation, altitude, time, and frequency signals under all circumstances. Ability to integrate future PNT signal sources such as alternative signals, CAN Bus, etc. VersaSync is a high performance GPS master clock and network time server that delivers accurate, software configurable time and frequency signals under all circumstances, including GNSS-denied environments. 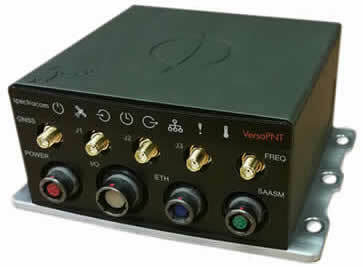 Its compact size and high level of ruggedization make VersaSync suitable for mobile applications in harsh environments. Its small footprint allows for easy integration of the time and frequency functionality into systems architecture. SecureSync® SAASM combines Spectracom’s precision time and frequency technology with secure Selective Availability Anti-Spoofing Module (SAASM) based GPS receiver. This system was conceived specifically to satisfy the Joint Chiefs of Staff mandate that all newly-fielded Department of Defense GPS systems be SAASM-compliant (CJCSI 6130.01C: Enclosure E). SecureSync SAASM offers a choice between two SAASM receiver options: a 24-channel Miniature Ruggedized Unit (MRU) and a 12-channel Ground-Based GPS Receiver Application Module (GB-GRAM). 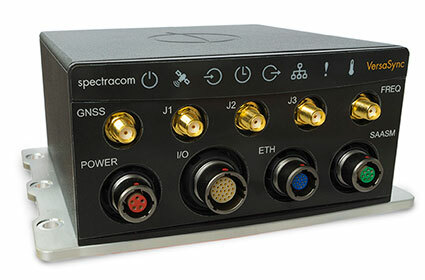 Spectracom's multi-channel, multi-frequency advanced GNSS simulators offers multiple frequency bands, multiple GNSS constellation simulation, and expansion to many more channels. 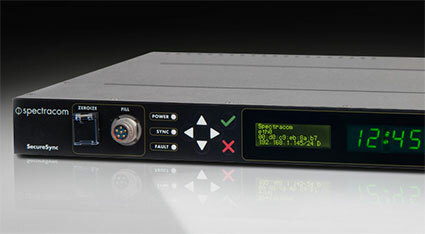 With a base of 32 channels, upgradable to 48, 64, or more, it provides navigational ﬁx and position testing. 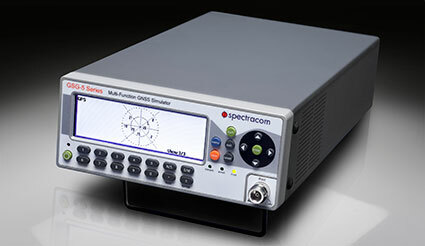 The Spectracom GSG-6 Series GNSS simulator protects your investment by being upgradeable in the future to more frequency bands and channels (plug-in hardware upgrade) and more signal formats (ﬁrmware upgrade). 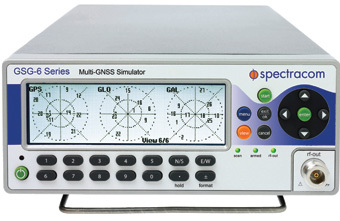 The GSG-6 Series is now able to simulate signals of the emerging Indian IRNSS and the Japanese QZSS systems. This document compares the two series and helps making your decision. 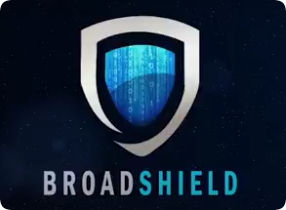 BroadShield for SecureSync is an interference detection suite that keeps your GPS/GNSS Synchronization safe from vulnerabilities caused by jamming and spoofing. Developed jointly by Spectracom and Talen-X, it is the only GPS-dependent PNT solution that protects critical infrastructure systems. 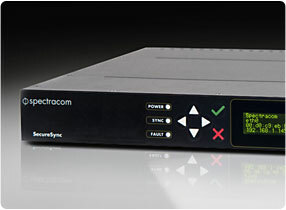 Spectracom TSync time code processors are complete synchronized timecode reader/generator boards and peripheral slot cards offering flexibility and easy integration for mission critical embedded applications. 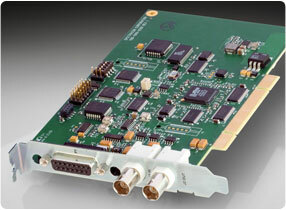 The TPRO-PCI-66U is a synchronized timecode reader/generator PCI slot card. The input timecode format (IRIG-B, IRIG-A, or NASA36) is automatically detected and synchronization to the input timecode is automatic, enabled/disabled through the PCI bus. 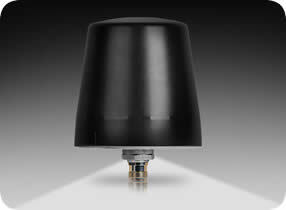 The TSAT version is available to allow synchronization directly to GPS through an included GPS antenna/receiver package. The Model 9483 NENA-compliant GPS master clock continues Spectracom's legacy of bringing essential time synchronization to public safety answering points (PSAPs) and other emergency and command and control systems.